WATERLOO, ON--(Marketwired - February 18, 2016) - Today, D2L, a global edtech leader and the creator of Brightspace, releases The Learning Analytics Blueprint, a visual guide to rolling out a successful Learning Analytics solution organization-wide. 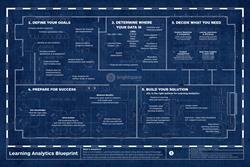 The Learning Analytics Blueprint provides organizations with a best practice framework for optimizing learning data. The Learning Analytics Blueprint is supported by D2L's team of experts in change management, data governance, and data sciences. "We've heard from customers that they want to use data to improve learning outcomes, but they don't know where to start. That's why we're excited to release the The Learning Analytics Blueprint to help organizations create their plans for using learning analytics to improve student success," said John Baker, CEO of D2L. D2L's ability to provide powerful analytics to create a more meaningful learning experience is globally recognized, as the company was just ranked #6 on Fast Company's list of The Most Innovative Companies of 2016 in the Data Science sector, amongst Spotify, IBM, Costco, Google, and Blue Cross Blue Shield. By using Brightspace analytics, Georgia Southern reports that it is able to predict student outcomes to within a letter grade 67% of the time as early as the fourth week of classes. That accuracy reaches as high as 88% by week 18. At Academy Online High School, Principal Rick Tanski shares that "More kids are passing with Cs or higher and fewer kids are in the D to F range. From 2013 to 2014, we've reduced our failure rate by 36%" upon utilizing D2L's predictive capabilities. 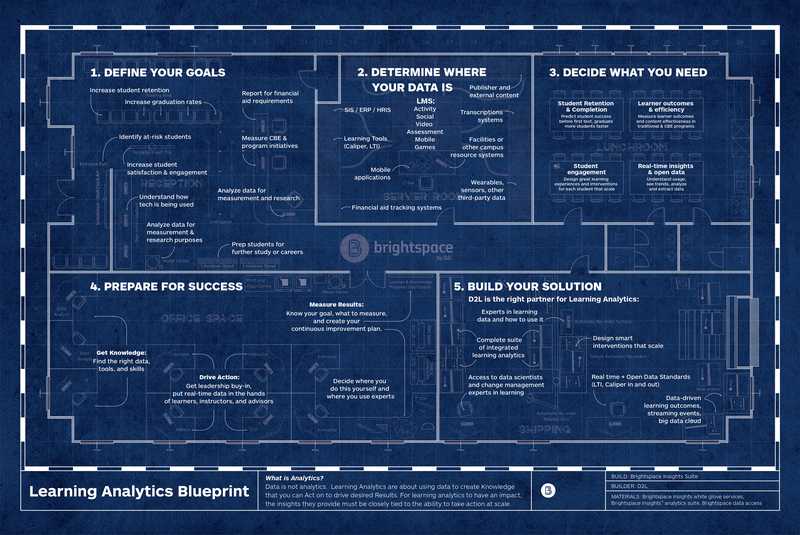 For more information about the Brightspace Learning Analytics Blueprint, visit www.brightspace.com/learning-analytics-blueprint/.